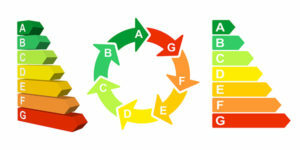 Home > News > Government Changes > Stamp Duty could be related to energy efficiency! It has been reported, that stamp duty costs could be related to the energy efficiency rating in the future. Claire Perry, Climate Change Minister, has told BBC Interview that the duty could be reduced as an incentive to owners who improve the energy efficiency of their properties, making their properties more appealing to prospective buyers. Claire Petty also states it is at the top of the governments agenda to ensure all UK homes secure a rating of C or above, by 2035, and systems are currently being developed to ensure it happens. The government is already starting the process of introducing new regulations, Minimum Energy Efficiency Standards (MEES) being one of them. This scheme is specifically aimed at privately owned properties being available in the rental sector, whereby the ratings will be required to be an E or above, from April 2018.